RapidMiner is one of a growing list of open source big data analytics platforms. Yes, the product list in this niche is getting long, and it can be a bit difficult to remember which product does what. But, RapidMiner is not a me-too product. Instead, it’s a pioneer analytics package, which offers a distinctive mix of power, analytics capabilities and versatility. A true open source, predictive analytics platform, RapidMiner has the oomph to plow through the biggest data sets. It’s available at no cost (a lighter version) or in a professionally supported, licensed commercial package. Mere mortals can use it. If you want to use it for advanced and predictive analytics, you don’t need a data science degree. Business analysts and line managers can ask predictive questions and make proactive decisions with the answers. RapidMiner achieves this with its easy-to-use, drag-and-drop interface, rather like advanced visualization analytics software. Strong partnerships and a new focus on linguistics. RapidMiner has always been known for its statistical approach to analyzing text. A recent partnership with AYLIEN, a specialist in natural language processing and text analysis, changed this focus to something closer to natural language analysis. RapidMiner developers transformed complex algorithms and made them available as a Web service. In another partnership deal, RapidMiner started working with business analytics software vendor, Tableau Software. The goal: enable Tableau users with limited data science skills to search and query huge data sets, analyze it and insert predictive results into their big data visualizations. Virtually unlimited capacity to analyze unstructured data. RapidMiner is a memory-based system. It analyzes as much data as the RAM in servers allow. With this extension, it can tag, classify and analyze unstructured data sources such as Tweets, social media comments, reviews and news articles with ease. A gung-ho community that knows a good thing when they see it. RapidMiner is also distinguished by an innovative, enthusiastic user community. A few days after release, the AYLIEN tool was downloaded thousands of times. Evidently these users understood how text and statistical analysis together can produce excellent results. But RapidMiner also has capabilities that capture the eye of the most jaded data scientist. Direct access to most relational databases. RapidMiner uses connectors to databases, Excel and CSV. Also, it’s written in Java and uses JDBC. Most relational database systems have JDBC drivers. Wizards you can use to set up data sources and a graphical environment to process data flows. R scripts that can be executed for data input, transformation and graphing. A small (relative to R) but still huge library of data mining methods. Data scientists can use the Weka library and lots more. Groovy scripts or Java modules. Developers can write a wide variety of data access methods to extend RapidMiner function. Radoop (beta), which data scientists can use in the Hadoop environment to process very large datasets. maurices, a national chain of ladies’ specialty clothing stores, was on the hunt for what would maintain long-term customer loyalty. They used the RapidMiner predictive analytics platform with voice of the customer feedback data gathered by their InMoment service. Analysis of this structured customer attribute data enabled maurices data specialists to consistently predict whether a customer is likely to become a repeat customer about 80 percent of the time. Insights gained with social media data and RapidMiner analytics told store marketers which elements of their customer experiences encourage or get in the way of a long-term relationship with our brand. The data guided the store to invest in resources improve relations and create good will, which builds customer loyalty. The maurices approach runs contrary to that of many retailers, who focus on price and promotion as the primary ways to change customer behavior. Because the company wants a truly engaging relationship with customers, they look for different customer behavior. Their customer feedback program enables them to understand what matters most to customers and be relevant to them in ways that improve their business processes. 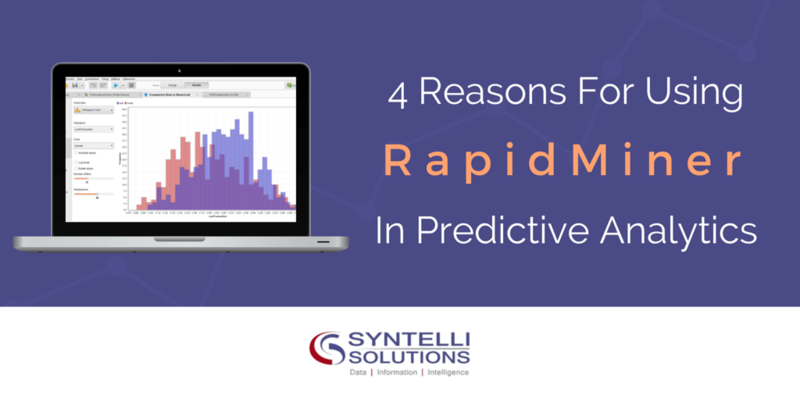 Want to learn more about our experience with RapidMiner projects? 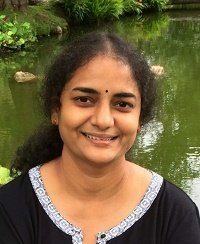 About Jayasri: Jayasri looks for patterns in data and builds models for marketing, financial, and text analytics using tools like R, Rapidminer, Python, and Spark. She has a PhD in Electrical Engineering from RPI and worked for Cisco Systems prior to joining Syntelli Solutions.